The Medici Bank (Italian: Banco Medici) was a financial institution created by the Medici family in Italy during the 15th century (1397–1494). It was the largest and most respected bank in Europe during its prime. 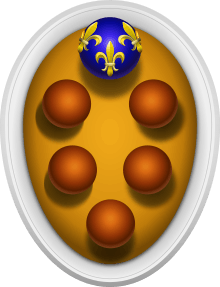 There are some estimates that the Medici family was, for a period of time, the wealthiest family in Europe. Estimating their wealth in today's money is difficult and imprecise, considering that they owned art, land, and gold. With this monetary wealth, the family acquired political power initially in Florence, and later in the wider spheres of Italy and Europe. The Medici bank's founding is usually dated to 1397, since it was this year that Giovanni di Bicci de' Medici separated his bank from his nephew Averardo's bank (which had effectively been acting as a branch in Rome), and moved his small bank from Rome to Florence. The branch in Rome was entrusted to Benedetto, and Giovanni took on Gentile di Baldassare Buoni (1371–1427) as a partner. They raised 10,000 gold florins and began operating in Florence, though Gentile soon left the firm. This move had certain advantages for a bank, inasmuch as the predominant large banks of the 14th century which were based in Florence—the Bardi, Acciaioli, Peruzzi—had met with problems, and saw their places usurped by the Alberti, who were just large enough to capture the Catholic Church's business. But the Alberti firm split over internecine quarrels, and the clan was banished from Florence in 1382 (though they would be allowed to return in 1434), creating yet another void. Giovanni's choice proved to be prescient, especially since what Florence was lacking was a good port on the Mediterranean—which it would obtain in 1406 with the conquest of Pisa and its Porto Pisano. A further advantage was that it was much easier to invest a bank's capital in Florence than in Rome, and because of the Holy See's deposits (obtained through Giovanni's long contacts with them), the bank had a fair amount of capital to invest in other ventures. In 1420, Benedetto di' Bardi (the ministro, or general manager, of all the branches) died, and was succeeded by his younger brother Ilarione di' Bardi, who was the manager of the Rome branch. He dissolved one of the wool factories, along with other reorganizations occasioned by partnerships coming to their designated end. This date is interesting because Ilarione's contract with his principal was done in the name of Cosimo and Lorenzo, and not their father Giovanni; this perhaps marks the beginnings of a transfer of responsibility and power in the Medici bank from one generation to the next. Two Portinaris were put in charge of the Florence and Venice branches. Giovanni died in 1429. According to Lorenzo, his fortune upon his death was worth around 180,000 gold florins. His death did not greatly affect the bank's operations, and the transition to Cosimo went smoothly, aided by Ilarione, who was retained as ministro. Fortunately for the bank, Lorenzo di Giovanni di Bicci de Medici was on excellent terms with Cosimo, and did not insist on dissolving the partnerships so he could receive his share of the patrimony (primogeniture not being operative here); many Florentine banks and mercantile businesses lasted only a generation or two because some of the inheriting sons usually wished to strike out on their own. At this time, the Medici bank was flourishing: besides the branches in Rome and Florence, the Venetian and Genevan branches had been founded. Ilarione would not last long in his position, and is mentioned as dead in a letter written in February 1433. The timing was unfortunate because the Albizzi government of Florence was moving against the young Medici-led resistance (galvanized by the Albizzi government's failure in a war against Lucca and Milan), culminating in Cosimo's exile to Venice. Despite the unfavorable politics in this period of the bank's history, its Italian branches turned in bumper profits, with as much as 62% of the total coming from Rome (in 1427, the Roman branch of the Medici bank had approximately 100,000 florins on deposit from the Papal Curia; in comparison, the total capitalization of the entire Medici bank was only about 25,000 gold florins) and 13% from Venice between 1420 and 1435 (with the later Medici branches opened in Bruges, London, Pisa, Avignon, Milan, and Lyon contributing nothing as they had not been founded yet). At this time, there seems to have been some sort of Medici office in Basel, and it seems to have lasted until 1443. De Roover speculates that it was a sub-branch of the Medici bank's Geneva branch serving the General Council of the Church, and was closed when the Council no longer made it worth their while to maintain it. When the crisis loomed, one way to try to avert it was to simply start reducing the interest paid on discretionary and demand deposits. But such a move would have hurt the Medici name, and so it was undertaken too late. The bank's heavy leverage of their deposits meant that setbacks could be sudden indeed. The fact that it seems to have been a common practice for Florentine banks to operate with as little as 5% of their deposits held in reserve lends further support to the idea that collapses could happen abruptly when bad loans were discovered. In addition to all of that, Lorenzo the Magnificent was not at all concerned about the bank. Instead, he chose to concentrate his time and his family's resources on patronizing artists and pursuing his own poetic and political interests. Eventually, the Medici family's fiscal problems grew severe enough to force Lorenzo to begin raiding Florence's state treasuries, at one point defrauding the Monte delle Dote, a charitable fund for paying for dowries. 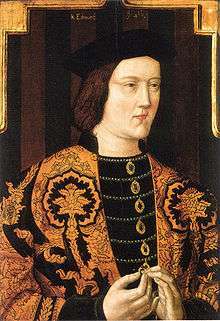 Shortly thereafter, the political pressure of King Charles VIII of France's 1494 invasion of Italy caused Piero di Lorenzo de' Medici to concede to the dual forces of Charles and the impending insolvency of the Medici bank. The Medici bank's remaining assets and records were seized and distributed to creditors and others. All the branches were declared dissolved. banchi a minuto ("small" or retail "bank"): the most obscure of the three, they were sort of combinations of lenders and pawnbrokers. They dealt in, among other things, bullion, installment sales of jewels and loans secured by jewels, and currency exchange. None of the surviving records mention anything but time deposits (for the purposes of raising capital), so they generally did not offer demand accounts and maintain the interest by lending out a portion of the deposits. Such banks did lend without security, though; one example of a banco a minuto (run by Bindaccio de' Cerchi) invested heavily in purchasing future interest payments from the Monte (Monte delle doti, a "seven percent dowry fund" founded in the 1340s by the state of Florence), loans to the Monte Comune, maritime insurance, and speculation in horse races. The Medici bank was not a banco a minuto, although between 1476 and 1491, Francesco di Giuliano de' Medici (1450–1528) was involved in two that dealt heavily in jewelry (one of whose partnership contracts explicitly state that as a goal, though the more successful one dealt in all sorts of luxuries like Spanish tuna). Such banks were members of the Arte del Cambio as they were not "manifest usurers". banchi grossi ("great banks"): the largest financial institutions in Florence, though not the most numerous (only 33 in 1469 according to Benedetto Dei). They were the major movers and shakers in the European economy. They had vast accumulations of capital, multi-generational projects, and were a mainstay of the Florentine economy, because not only did they deal in time deposits, demand deposits, and discretionary deposits (deposits a discrezione), they expended most of their efforts in funneling their capital into commerce and bills of exchange. Such bills could be a hidden and legal method to create loans bearing interest. The Medici Bank was such a bank. One Medici branch manager (Tommaso Portinari) said: "The foundation of the [Medici bank] business rests on trade in which most of the capital is employed." Similarly, the articles of association frequently said something along the lines of the purpose for the partnership being "to deal in exchange and in merchandise with the help of God and good fortune." Under Cosimo, the Bank had interests in wool, silk, alum and merchant vessels—entirely separate from the many financial instruments and relations it managed. Despite their membership in the Arte del Cambio (assuming they bothered to run a local bank in Florence itself), these merchant banks' focus were determinedly international in scope, where profits could be found, local markets being very competitive. So the Medici were represented by the firm of Filippo Strozzi and Co. in Naples, by Piero del Fede and Co. in Valencia, by Nicolaio d'Ameleto and Antonio Bonafe in Bologna, by Filippo and Federigo Centurioni in Genoa, by Gherardo Bueri—a close relative of Cosimo—in Lübeck, and so forth. A crucial distinction between the Medici Bank and its older rivals (the Peruzzi, the Bardi, the Acciaioli, etc.) was that its "decentralization" was not merely geographic: it was legal and financial. The Peruzzi bank was taken over by outsiders in 1331 because there was but one partnership, based in Florence and held largely by Peruzzi family members, which owned everything. The employees were only paid a salary for their service. So the nine original outsiders could slowly leverage their 21 1⁄4 shares to overwhelm the Peruzzi's collective 36 3⁄4 shares. The lack of clear leadership, though, when the leading partner died has been suggested as another factor in the failure of the Bardi and Peruzzi banks. The branch manager (the governatore, or "governor", would have put up a portion of his own money at the start of the partnership) and the investing partners could take out their profits at this point, since salaries or dividends were not paid when the partnership agreement was in effect, but usually the Florentine partners (maggiori, "seniors") and the branch manager would then incorporate a fresh partnership if the manager's performance had been satisfactory. Managers were not paid salaries, but were considered to have invested in the partnership a sum greater than they actually had (for example, in 1455, the Venice branch's partnership agreement was renewed and the manager Alessandro Martelli invested 2,000 of the 14,000 ducats. He would be paid of the total profits not his fair 1⁄7th, but rather 1⁄5th). Around July 15, 1441, the Medici of Venice bought a bill on Bruges at the rate of 54 1⁄2 groats per Venetian ducat. Two months later, when the bill matured, they received in Bruges 54 1⁄2 groats for each ducat. With the proceeds of this bill the Bruges branch, acting as [an] agent for the Venice branch, bought a bill on Venice, payable at the end of two months, at the rate of 51 1⁄2 groats per ducat. The Medici of Venice thus made a profit of 3 groats on each ducat over a period of four months, since they received 54 1⁄2 groats and paid 51 1⁄2 groats. If the exchange rate in Bruges had been 54 1⁄2 groats instead of 51 1⁄2 per ducat, the Medici of Venice would have broken even because they would have paid and received the same number of groats for each ducat. A controlling interest in a bottega di sieta (silk shop) and two botteghe di lana (cloth manufacturing establishment) were further possessions of the Medici (although run in partnership with men of the necessary technical expertise). They paid by the piece and ran on the putting-out system; for the wool especially it was a very complex system, in which the early steps had to be done in the factories but then the spinning of the wool was done by women outside the factory, and the yarn collected to be brought to the weavers, who would then turn it over to the dyers and finishers in the factory. Legally, they were incorporated much the same as the branches, although unlike the branches, the managers apparently had complete latitude in managing employees. The close relation between the papacy and the branch declined over the years, with the decline especially pronounced after 1464, with few to no branch managers being selected to be the "depositary-general", the official who was essentially the fiscal agent for the Apostolic Chamber, or the Church's treasury. Pope Sixtus IV would repudiate the Medici's control of the alum trade and also his debts to them, as well as seizing Medici property in Rome following the Pazzi Conspiracy in 1478. The Pazzi's interlocked businesses and banks had captured the alum business after the Medici were removed from it, and were supplying the depositary-general from their ranks, indicating that they were trying to follow the Medici route of initially building up their empire through papal custom. The papacy would eventually agree to repay the debts, but did so extremely slowly; so slowly that the branch manager Giovanni Tornabouni agreed to take stocks of alum instead, despite the depressed market for alum. Tornabuoni would still be in charge when 1494 came and the edifice of the Medici came crashing down. Because the branch had been doing so poorly, it owed more than it was due, so the Roman government was satisfied to allow Tornabouni to assume the rest of the partnership's equity and debts. ↑ The qualifier "during the 15th century" is important, as the Bardi and Peruzzini banks of the 14th century are considered to have been considerably larger in their prime; the smaller size of the Medici bank is attributed to the poor business conditions of the fifteenth century, which are sometimes one of the proffered causes for the Medici bank's ultimate decline and failure. The Medici's relative lack of ambition can be seen in how they never truly challenged the Hanseatic League, established no branches in the Middle East, and did not pursue business in and around the Baltic Sea. See de Roover (1966), pp. 5–6, 8. ↑ Goldthwaite (1987), p. 11. ↑ de Roover (1966), pp. 35–36. ↑ de Roover (1966), p. 39. ↑ de Roover (1966), p. 37. ↑ de Roover (1966), p. 3. ↑ de Roover (1966), pp. 41–42. ↑ de Roover (1966), pp. 48, 50. ↑ de Roover (1966), pp. 43–45. ↑ de Roover (1966), pp. 48–49. ↑ de Roover (1966), pp. 52–53. 1 2 3 Goldthwaite (1987), p. 15. ↑ de Roover (1966), p. 106. ↑ de Roover (1966), pp. 54–56. ↑ de Roover (1966), pp. 58–59. ↑ de Roover (1966), pp. 59–60. ↑ de Roover (1966), p. 62. ↑ de Roover (1966), p. 63. ↑ "In Lyons, for example, the Medici company was no larger than the Capponi, and there were almost a hundred and forty other Florentine firms that operated there at one time or another in the last third of the fifteenth century." Goldthwaite (1987), pp. 20–21. 1 2 de Roover (1966), p. 74. ↑ Goldthwaite (1987), p. 34. ↑ de Roover (1943), p. 69. ↑ de Roover (1966), p. 328. ↑ de Roover (1966), pp. 330–340. ↑ de Roover (1948), p. 63. ↑ de Roover (1966), p. 346. ↑ de Roover (1966), p. 348. ↑ de Roover (1966), p. 349. ↑ Goldthwaite (1987), p. 9. ↑ Goldthwaite (1987), p. 16. ↑ de Roover (1966), p. 366. ↑ de Roover (1966), p. 358. ↑ de Roover (1966), pp. 360–361. ↑ The wars between Florence and Venice had brought down the business of this once high-flying branch of the Medici bank. Part of the problem were the large loans made to Venetian merchants which worried Piero and the merely mediocre performance of Alessandro Martelli's successor, Giovanni Altoviti. 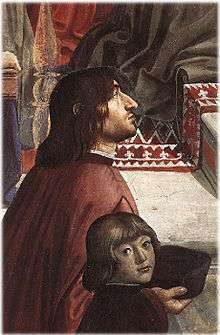 Sassetti eventually persuaded Piero to simply shut down the Venice branch rather than try to find a better manager, though in 1471 there was an abortive attempt to restart it, which only lasted a little over 8 years. See de Roover (1966), pp. 251–252, 358-359. ↑ de Roover (1966), p. 149. ↑ "How to settle Italian claims on the Low Countries created a real problem that grew more acute as the century progressed. It eventually engendered a crisis which not only brought about a shrinkage in the volume of international trade, but also had an adverse effect upon the prosperity of the Italian banking houses. It was undoubtedly a potent factor in causing the downfall of the Medici branches operating in Bruges and London." de Roover (1966), pp. 317, 360-362. ↑ According to Philippe de Commines in his Mémoires, as mentioned in de Roover (1948). ↑ de Roover (1948), p. 10. ↑ de Roover (1966), p. 16. ↑ de Roover (1966), pp. 370–371. ↑ Goldthwaite (1987), p. 12. ↑ Goldthwaite (1985), p. 26. ↑ de Roover (1966), p. 365. ↑ Goldthwaite (1987), p. 33. 1 2 de Roover (1966), p. 86. ↑ As summarized in de Roover (1948), p. 59. ↑ de Roover (1966), p. 371. ↑ see de Roover (1966), pp. 228, 292-293. The Florentine tavola operated with 5% reserves, and the Datini bank apparently did likewise. In its heyday, the Lyons branch of the Medici bank was even more extreme: on deposits of approximately 108,000 écus, a reserve was kept of only approximately 2,000, or not even 2%! While these reserve figures are drawn from unreliable castato records, Goldthwaite (1985, p. 24) mentions that one banchi a minuto he studied frequently held less than 100% reserves and that the Strozzi bank frequently records less than 50% reserves. ↑ de Roover (1948), p. 62. ↑ de Roover (1966), pp. 366–367. ↑ de Roover (1948), xiii. 1 2 de Roover (1966), p. 15. ↑ Specifically, the statues stated that they were "to be free and absolved from any further censure, penalty, or exaction." de Roover (1966), p. 14. ↑ Goldthwaite (1985), pp. 19–20. 1 2 Goldthwaite (1985), p. 25. ↑ "...and since the bill of exchange could be exploited as a major instrument for the extension of credit—being one of the subterfuges by which capitalists could evade usury charges—this activity led merchants into the business of lending money. Banks' profits, therefore, came primarily from exchange operations, legitimate or otherwise, real or fictitious." Goldthwaite (1987), p. 10. ↑ de Roover (1948), p. 3; Goldthwaite (1987, p. 10) says: "Like the others, it was not a bank in the modern sense of the term. ... The company's chief business was foreign exchange, an activity that was grafted on to international commerce. ... It effected exchange and transfer of credit for its clients. ↑ de Roover (1948), p. 31. ↑ Goldthwaite (1987), p. 23. ↑ Administratively, they were split between branches beyond the Alps and branches within Italy (which did not exist as a discrete political unit at this time), all under a ministro ("general manager" of the banking units, but not the factories) who himself reported to the head of the firm. See de Roover, (1948), p. 12. ↑ "Correspondence was the only means by which the senior partners and the main office of the Medici bank kept in contact with the branches, since the slowness of transportation prevented frequent consultation with the branch managers. Only a small fraction has come down to us...This published material is made up exclusively of letters sent to Florence by the Bruges and London branches. There seem to have been two kinds of letters: the lettere di compagnia or business letters and the lettere private or confidential private letters. The lettere di compagnia were addressed to the firm or banco in Florence. They dealt chiefly with current business affairs: notices concerning bills drawn or remitted, information concerning shipments or the safe arrival of consignments, advices concerning debits and credits, and similar details...their details did not have to be concealed.....The lettere private were not addressed to the firm, but personally to Cosimo or other members of the Medici family. A few lettere private are congratulatory messages regarding family events or deal with purchase of tapestries for members of the Medici family...The same is not true of the other lettere private wherein the writers discuss business prospects, political events, important problems of management, and the financial condition of the branches." de Roover (1948), pp. 22–23. 1 2 de Roover (1948), p. 4. ↑ de Roover (1948), p. 7. ↑ de Roover (1966), p. 251. ↑ de Roover (1948), p. 53. ↑ But not in their personal lives. Some partnership agreements were extremely restrictive of the junior partner's life: the standard 1456 partnership agreement for Tani to take over the Bruges branch forbade him to leave Bruges for anywhere except the fairs of Antwerp and Bergen-op-Zoom, and business trips to London, Calais, Middelburg were allowed only if they were truly necessary. Tani was not to entertain any women or boys, accept no gifts above one pound groat, spend no more than 20 pounds groat a year for living expenses, conduct no private business, engage in no insuring, trust only certain merchants, spend only up to 500 pounds groat for wool or cloth a year etc. Even after the partnership expired, he would have to remain in Bruges a full 6 months to tidy up affairs. de Roover (1948), pp. 15–17. ↑ de Roover (1966), p. 297. ↑ "Giovanni also banned loans to princes and kings, who were notoriously bad investments." Also, "Under no conditions was the branch manager allowed to sell foreign exchange on credit to lords spiritual or temporal." de Roover (1948), p. 16. ↑ An example of an 11th-century Genoa dry exchange is given here: http://szabo.best.vwh.net/contractlanguage.html The first party gave the second a certain sum of gold, and the second promised to return the gold in Constantinople, with a small penalty if he failed to do so; neither intended to travel, and the penalty was in effect interest. ↑ "Moreover, exchange quotations applied to time bills payable at usance. Between Italy and London, usance was three months in either direction. As a result, the exchange rate was lower in London and higher in Florence or Venice. Of course, a London banker offered fewer sterlings for having to wait before receiving a ducat in Venice or a florin in Florence. For the same reason, the banker in Italy was unwilling to part with a ducat or a florin unless he received in London a greater quantity of sterlings. In other words, economic equilibrium required that the exchange rate for usance bills be higher in Florence (or Venice) than in London." de Roover (1966), p. 113. ↑ de Roover (1948), p. 36. 1 2 de Roover (1948), pp. 26–28. ↑ de Roover (1966), pp. 169–170. ↑ de Roover (1948), pp. 29–30. ↑ "It was an old tradition among Florentine families, when they owned extensive landed estates, either to control or to manage a wool or silkshop in order to provide work for the 'poor'." de Roover (1966), p. 167. ↑ "Like most Florentines of their class, the Medici invested in partnerships for the production of cloth, but the amount of capital they put in this sector of the economy was inconsequential." Goldthwaite (1987), pp. 21–22. ↑ de Roover (1966), p. 167. ↑ de Roover (1966), pp. 168–169. 1 2 de Roover (1966), p. 152. ↑ de Roover (1948), p. 45. ↑ de Roover (1966), p. 153. ↑ de Roover (1966), p. 157. ↑ de Roover (1966), p. 194. ↑ "As pointed out, the Medici promised their customers to keep secret the amount of deposits made with them." de Roover (1966), p. 199. ↑ "Often papal agents would have to rely on causal means such as traveling merchants, pilgrims, or students who would undertake to carry money or goods to the nearest banking center. Transfers from Poland sometimes took six months of more, whereas funds received in Bruges or London were made available in Rome within a month or less by a simple letter of advice. The bankers provided expeditious and efficient service." de Roover (1966), p. 195. ↑ de Roover (1966), p. 201. ↑ "As for the Pope, Martin V, it was hoped he would not ask for more, as he had already borrowed enough. On the contrary, he was expected to pay off some of his indebtedness, unless war broke out with the Kingdom of Naples." de Roover (1966), p. 204. ↑ de Roover (1966), p. 199. ↑ "The presence among the assets of silver plate for an amount of more than 4,000 florins reveals at any rate that the Rome branch dealt more or less extensively in this product for which there was a demand among the high churchmen of the Curia who did a great deal of entertaining and liked to display their magnificence." de Roover (1966), p. 205. 1 2 Goldthwaite (1987), p. 32. ↑ de Roover (1966), pp. 223–224.